Not much else was revealed beyond the above teaser image, but hey — I’m sold. Bloodstrike was one of many titles created by Liefeld’s Extreme Studios back in the 1990s, at the beginning of Image Comics’ heyday. 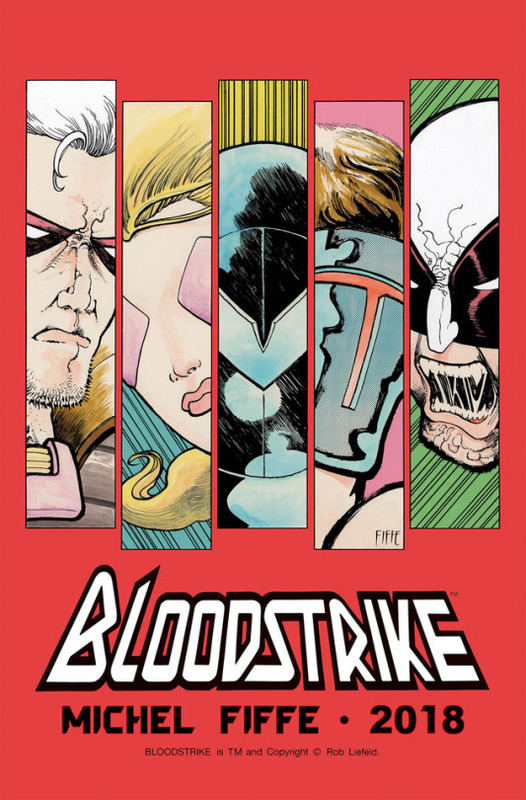 Bloodstrike is a team of undead superhero/assassin types working for a shady government agency. They had all died before and had been brought back by something called Project: Born Again, and when damaged in battle they could be “repaired” using that same technology. The title has been revived before — once by Tim Seeley and Franchesco Gaston, and then by Liefeld himself.